It’s been an inspiring week working with a team of about 40 advanced design students to explore the notion of urban intervention as a design process. The mission was simple: “The city as source material and canvas.” And with each day that passes, I’m continually impressed with the work coming out of the class. 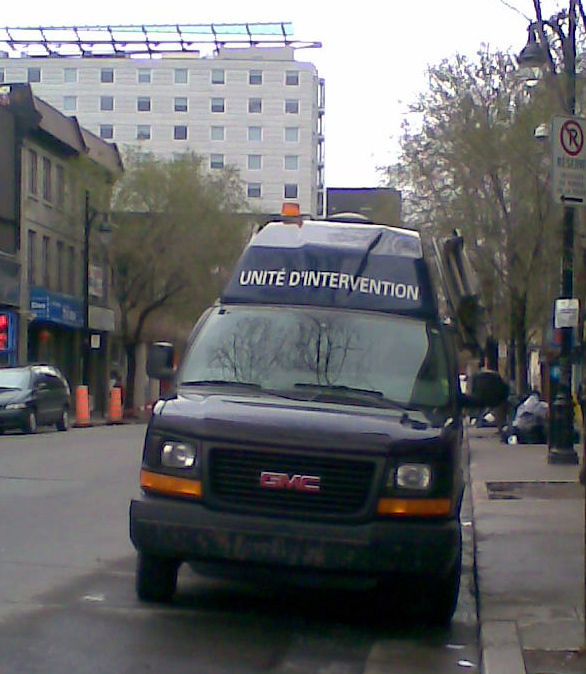 That, and the fact that the “Intervention Unit” van (above) is parked around the corner from the building. Coincidence? Participating in these intense international workshops are always great fun – mostly because the students had to apply to get in, so they’re at their best, and also because the other guest lecturers from across the departments are all key players in their fields, so there’s also a great a vibe in the cafe in-between lectures, swapping ideas and contacts. Come back soon for the flickr pool of resulting student work. You won’t be disappointed.